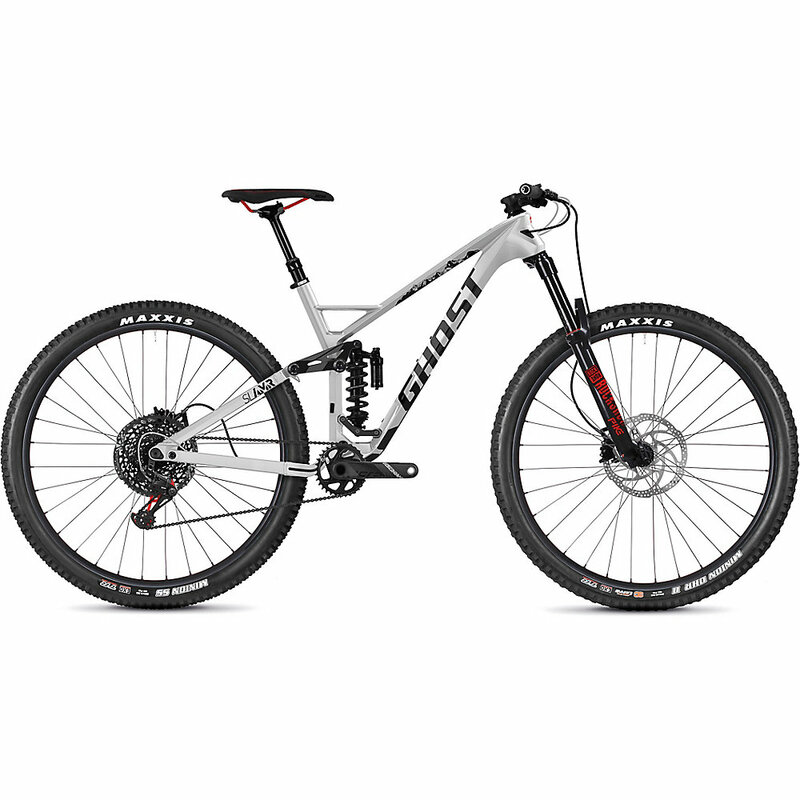 Compare prices for Ghost AMR pro mountain racing bikes. The Ghost AMR is a bike that has been made for both long travel and for the mountain trails, and is therefore one of the more versatile bikes out there right now. If you are in the market for a bike that will serve you well no matter where you are or what you are doing, the AMR is for you. When we first ordered the Ghost AMR, we were delighted to see five different frame sizes available to choose from. This meant that it was a lot easier for us to find the right fit. In addition to this, the price is great when compared to the competition, while maintaining the same alloy frame materials and a nice stiff body overall. Of course, the AMR is an entry level bike, but it does perform exceptionally well regardless of this. The fork is a 130mm travel RockShox Sektor that is more than capable of light trails and even mid-level bumps. There is nothing wrong with the gearing and the components on the bike. In fact, the only thing that we took issue with was the wheels. The wheels on this bike are rather flexy for their intended use, which makes it a lot harder to maintain control at speed. In addition to this, there is the problem of the Shimano Deore hub in front coming loose every now and then. The Ghost AMR is a bike that is made for someone just starting out in the world of mountain and trail biking. While it does tend to have its little issues, it is a pretty great bike overall. Ghosting past all of the competition on the Ghost AMR was easy enough as long as it was in its element. If you want a truly versatile bike though, you will have to look elsewhere, as this one is strictly for novices.